4/12/97-- health fair-- Takaaki Iwabu photo-- Madalene Ansel R.N. of Niagara County Health Dept. 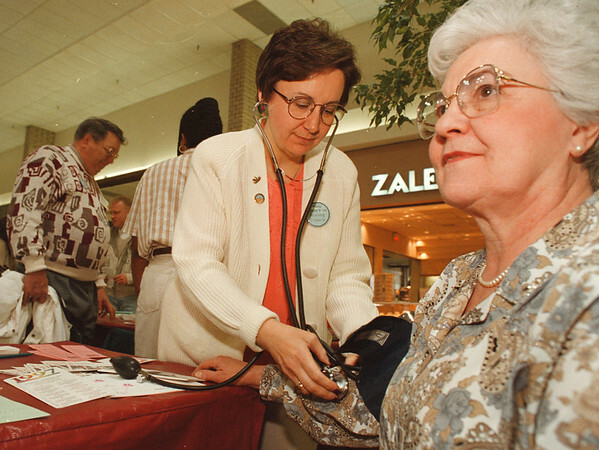 checks Joan Sirianni's blood pressure at Health Fair in Summit Park Mall Saturday.